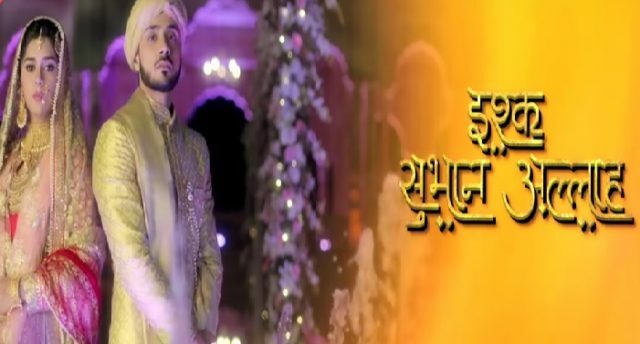 In the latest episode of Ishq Subhan Allah 2nd November 2018 Kabir and Ruksaar’s wedding. In Today’s latest episode of Ishq Subhan Allah is started with all are dressed for marriage. Reema said to Zara that this does not feel right. Zara stops her. Reema said to Zara that this does not feel right. Zara stops her. Reema said to Salma that the Ruksaar will create havoc when she wakes up. She is going in the coma only. Salma said that she does not know when this Ruksaar will leave Zara’s life. Ruksaar is dressed as bride and she is looking so beautiful. Irfan asks to her that Ruksaar is she accepts her Nikha with Kabir? Ruksaar does not answer, he asks to her again, but she did not budge. Irfan asks again to her. Zeenat said to Ruksaar that please say and you do, all are waiting especially Kabir is waiting for. Alina said please. Ayesha asks to Ruksaar to say it. Shahbaz said that please say it. Zeenat says that all are waiting for your eyes, listen to us, say yes once. Zeenat was getting so emotional. Ayesha asks her to calm down. Kabir said to Ruksaar that I like you from my heart, and I will happily accept you, as my life partner. And you have to just said that you accept this marriage. Suddenly Kabir’s phone starts ringing just like it happened he and Ruksaar were getting married. Ruksaar moves her neck and he continuously stares at Zara. She is stunned away and said to Kabir that she had moved her neck, all are stunned at there but saw at Ruksaar unmoving. Kabir said are you sure? Zara said that I saw her that he is glaring at me, I am pretty sure. Kabir asks others for this situation but nobody saw it. Kabir nods at Alina. They saw the CCTV footage of wedding, all were wait for it but Ruksaar did not move her neck. Reema said that are you sure? It might be your doubt. Zara said that I saw myself that she moved her neck, I think we should do another drama to know the reality. Zara said that we can do her Valima (wedding reception), all look on. Zara said that to believe we have accepted her as our daughter in law, Ayesha said that what about the guests? Zara said that we can invite our close ones. Kabir said okay but we have to increase cameras so it is not only Zara who sees Ruksaar moving. Precap: Kabir sits on the bed with Ruksaar and shows her poison, he said that you wanted to kill me with this, he mixes it in juice an says to make me drink it, kill me as I am only yours in this life and life after, so fulfil your dreams and kills me. Zara and Reema hides and watches it, Ruksaar’s hand moves.